If It's So Easy to Replace Artificial Food Ingredients, Why Don't More Companies Do It? 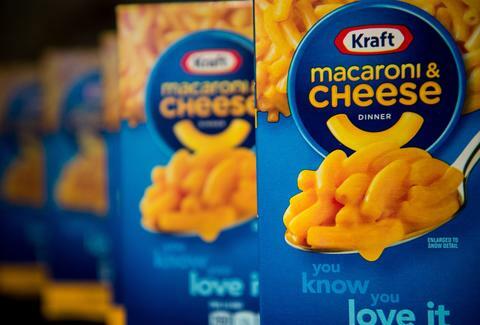 If you didn't know, Kraft got rid of artificial ingredients in its mac & cheese back in January -- and sold 50 million boxes without even having to say, "See guys, it's not processed junk!" The company just revealed the new recipe, marketing it as "the world's biggest blind taste test." And it really does pass for the old stuff, right down to that token radioactive color, which is now made from spices like paprika and turmeric (Yellow 5 and 6 dyes, you won't be missed). Kraft is only the latest food company to cut out artificial ingredients, joining Hershey's, Taco Bell, and others. Many are still doin' the same old processed dirty as before. But if even mac & cheese can become real food -- yes, with its cheese powder and post-apocalypse shelf life -- why can't any other product? We chatted up industry experts to find out. When it comes to color scheme, Kraft had it relatively easy -- orange is a fairly easy one to come up with naturally. But when there are multiple colors and flavor within one product, it gets uphill. That's why General Mills scrapped the blue and green puffs from Trix cereal (not tricky enough, Silly Rabbit), and the company says it's still reworking Lucky Charms and Monster. But seriously, how can you make multi-colored marshmallow rainbows all natural? That leprechaun must be somewhere inconsolably sobbing. Companies usually don't mention this part (it's tough to make your average consumer sympathetic to a company's expenses), but switching to natural ingredients is like putting cash into a food processor and pressing ON. It's a quick and easy way to lose a lot of money. "Natural ingredients are more expensive, so it skyrockets costs," explains David Henkes of Technomic, a consulting firm for the food industry. "You're either going to have to take a lower margin or raise the price to consumers. "Nobody wants to sacrifice margin but in today's environment, if your product is not on trend... it's a choice between that and watching your sales drop 10, 15, 20% a year. So you're going to take the lower margin and like it." 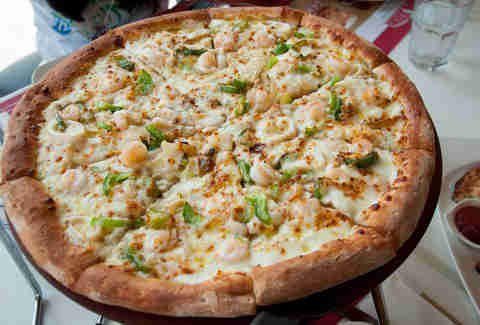 Just look at Papa John's. According to Bloomberg, the pizza empire's plan to eliminate corn syrup, preservatives, and artificial colors is costing around $100 million a year. Pepperoni alone -- free of BHA and BHT fillers -- is a cool $2 million drop in the bucket. According to Henkes, some companies just aren't ready to go there financially, but haven't ruled it out yet. "Legacy brands and products have to be very careful in changing formation," says Henkes. "Any time you announce you're changing the recipe, there is skepticism and consumers think it's not going to be the same." Often, the consumers are right. The Papa himself told Bloomberg the company gave up flavor in its ranch dressing because there was no other way "to get the chemical out." Which explains why Kraft didn't announce changing its mac & cheese, instead repackaging it into a publicity stunt. Consumers tend to want it all: natural product RIGHT NOW. But researching new recipes can ultimately take years. 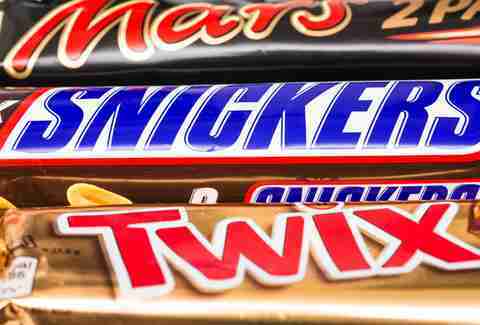 Mars, responsible for delights like M&M's, Twix, and 27 other brands, faced backlash for saying replacing artificial ingredients "is not a process that can happen overnight". That's since been removed from the website and replaced with a different statement, promising to come up with a "full range of alternatives that guarantee the integrity and great taste of the products" in five years. So you see, some companies could be planning to switch, but are choosing to stay under the radar. Five years may as well be an eternity in PR time. "Companies just may not feel it's important to consumers in those categories," Henkes adds. "While we always like to think consumers are wanting to eat healthy and do the right thing, in a lot of instances they are looking for a [high]-fat, high-calorie product that tastes great." People crave unhealthy food? Oh yes, and there are all sorts of mental gymnastics used to rationalize unhealthy behaviors. "Consumers are complicated. They'll eat healthy and offset that with a big candy bar later on. Not every product that manufacturers make needs to be healthy." Making ingredients natural doesn't make them nutritious. Natural flavors may come from a natural source, but a quick look at what's allowed under the law makes it pretty clear that all sorts of processing and tinkering can occur before the flavors wind up in your food. 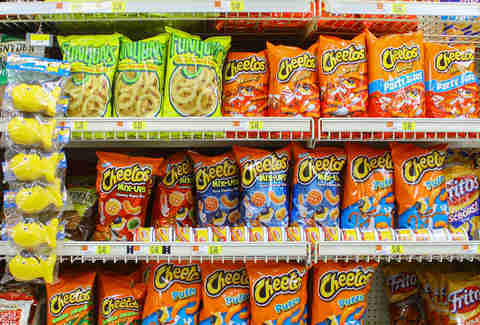 Cheetos, for example, contain the pleasant-sounding "natural flavors." And that's saying nothing about the nutritional components of the food itself. Grass-fed butter with no hormones or additives is nice, but it's still not a great idea to eat a stick of it. Trends are always changing, and some businesses may be wary of chasing trends. What if, a year from now, people want something totally different and new? The process has to start all over. But according to Marion Nestle, the author of Food Politics: How The Food Industry Influences Nutrition and Health, companies will always follow customer demand "because they have to." "Customers want artificial ingredients out of the products, and the noise level has increased to the point where the companies are forced to listen," she says. "If sales of products with these ingredients continue to decline, other companies will do the same." Barbara Woolsey is a Berlin-based writer who knows Kraft mac & cheese as KD because she's bizarre, but mostly just Canadian. Read more of her stuff on Facebook and Twitter.